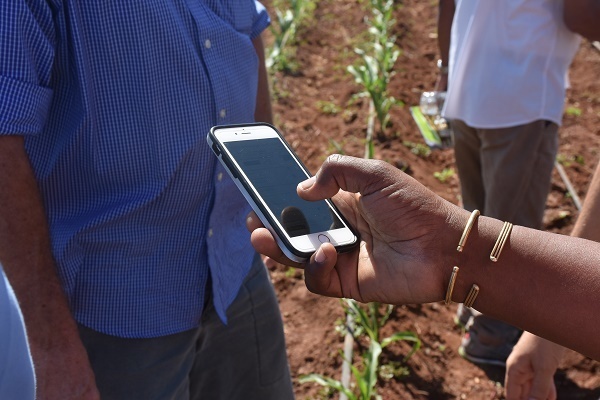 Seeds Go Digital: Faster And Better-Quality Certification, A Game-Changer For African Farmers? (January 17, 2019) - Many Kenyan maize farmers are busy preparing their seed stock for the next planting season. Sowing high quality seeds of stress tolerant varieties is a cost-effective way for African smallholder farmers to boost their harvests while being resilient to evolving crop pests and diseases as well as an erratic climate. However, even if a majority of farmers buy their seeds, they are often of dubious quality, or of old, outdated varieties, which do not cope well against increasing drought and heat shocks or emerging diseases. The African seed sector has long been plagued by counterfeit seeds and a complex and costly certification process, which hampers access to better, higher-yielding, wide-ranging varieties for farmers. Since the 1990s, national agencies could not keep up with the seed trade growth to handle the certification processes. Backlogs of certification requests and erroneous seed checks make it costly for private seed companies to produce and commercialize new varieties. As a result, maize varieties grown by farmers in Sub-Saharan Africa are old: 28 years old on average for hybrids, and up to 40 years old for open pollinated varieties. “A lot of the national certification systems in the region are overwhelmed. They do not have enough seed inspectors with proper training and tools to carry out compliance checks effectively and in a timely manner. The licensing, labeling and branding protocols and regulations are equally not in full force, and much of the work still needs to be digitized. This slows the entire process,” said Kate Fehlenberg, Drought Tolerant Maize for Africa Seed Scaling (DTMASS) Project Manager at the International Maize and Wheat Improvement Center (CIMMYT), at a recent Common Market for Eastern and Southern Africa (COMESA) seed policies’ harmonization event in Nairobi. To solve this certification bottleneck, seed actors are looking at digital solutions for faster, more accurate seed quality checks for both seed producers and regulators. 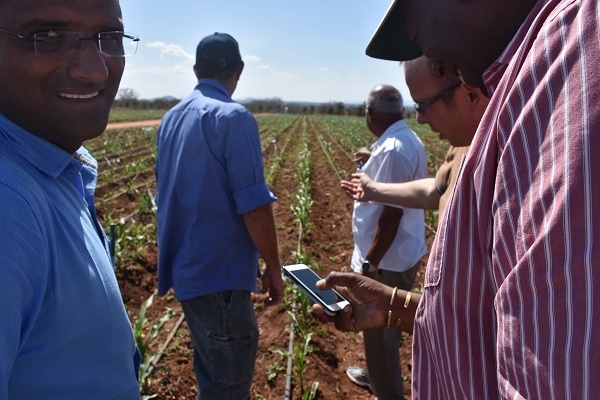 One Kenyan company, Cellsoft Ltd., has developed SeedAssureTM, a cloud-based platform that enables digital seed inspections. Data necessary for quality seed production, pest and disease surveillance, and the required checks to apply for a commercial license can be shared in real-time on a common platform that links seed companies, inspectors and local authorities. Such a tool not only enables optimal quality in seed production, but expedites the licensing, certification and trade processes with traceable data records. SeedAssureTM is rapidly being rolled out across eastern and southern Africa with support across the seed value chain. This includes regional trade bodies like COMESA and the Southern African Development Community (SADC), national regulators such as the Seed Control and Certification Institute (SCCI), to research and development organizations like CIMMYT and the Alliance for a Green Revolution in Africa (AGRA). So far, 15 seed companies in seven countries in the region have been testing SeedAssureTM. To boost regional seed trade, all actors along the seed value chain and across the region must embrace this digital revolution and ‘’speak the same language’’. This means adopting the same rules to identify and register a new variety, and using a common platform to easily share data between countries. Currently, despite efforts to harmonize seed trade policies across the region, such as the COMESA Seed Harmonization Implementation Program (COMSHIP) passed in 2014, most countries still use different protocols to name and register seed varieties. One variety could have a different name in each country it is sold in. Data used for quality control are still often on paper rather than online, with each country performing its own tests. Seed companies must apply for new variety registration, with new data for each country they operate in. This all costs them time and money. Adopting a unique identifier for seed products and digitalization can help alleviate this harmonization issue, easing comparable data sharing across border. Since November 2017, CIMMYT has adopted a Variety Identification Number (VIN) system. It is like a unique barcode for each variety which contains information about the organization that produced the variety, the year of release, the crop and specific traits such as drought-tolerance, the country where it is produced etc. SADC and COMESA have just adopted this VIN system. COMSHIP is setting digital seed variety catalogues using the VIN, and soon regional seed labels. It will facilitate cross-border seed trade and help track seed fraud. The 2019 Global Forum for Food and Agriculture (GFFA) held this week in Berlin is debating how digitalization is transforming the farming sector. This is particularly relevant for the African seed sector as digital innovations could make seed certification and quality control cheaper, faster and more transparent, while narrowing the space for fake seed. Seed companies would then be encouraged to release more new improved varieties, and ultimately accelerate our research impact for African farmers.